SEMA Hall of Fame - Roy Richter, 1974, Cragar Industries. 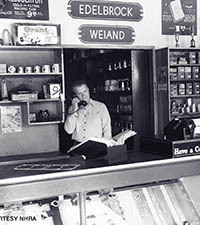 Roy owned and operated one of the first speed shops in Southern California. Roy’s innovative character inspired him to expand into manufacturing. He formed Cragar Wheels, one of the most popular aluminum alloy wheels to be sold in America from the 1960s on. Bell Helmets produced state-of-the-art head protection; Bell made its first helmet in 1954, known as the 500, and it was quickly accepted by the racing community. 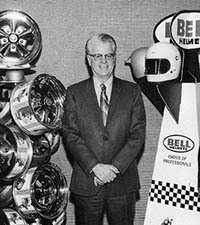 The original Bell 500 helmet and Cragar S/S Competition wheel are two products for which he’s best known. 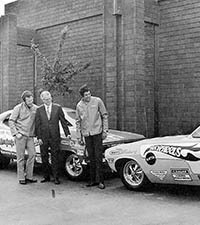 Cragar was one of SEMA’s 36 charter member companies, and Roy filled a number of positions within the association, including president from 1969-1971.